Direct mail advertising is the cost-effective way to reach thousands of local consumers by delivering your ad directly to their mailboxes. It’s Memorable. Your message and brand are more likely to be remembered by consumers who are introduced to your business when they receive your promotion in their mailboxes. It’s Precise. Direct mail can target specific households based on purchase behavior, income or demographic. 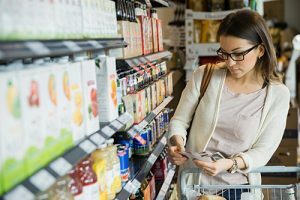 In the same way digital advertising does, you can use online browsing and buying data to send relevant coupons and ads to homes in a format that consumers prefer. 1. Do Create A Well-Designed Ad. A great looking direct mail ad will generate more response, and ultimately more profit. Our team of graphic design experts knows what design techniques will get your coupon noticed. 2. Do Include A Strong Offer. The strength of your offer is the single biggest factor in determining the response to it. A strong offer helps shorten the time it takes a consumer to make a decision, as well as builds response over time. 3. Don’t Target The Wrong Audience. Even the most well-designed ad won’t generate a strong response if you aren’t targeting the right audience. 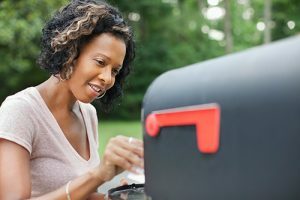 Through a targeted direct mail campaign, you can reach the right customers in your neighborhood based on their location, income, age and more. 4. Don’t Just Mail One Time. Frequency is the key to success for your direct mail campaign. Consistent, regular advertising over time provides the impressions necessary for the typical consumer to make a buying decision. It’s not uncommon for a Valpak client to see response increase then break even by the third month and profit by the fourth month. 5. Don’t Forget To Track Your Campaigns. If you’re not tracking your direct mail advertising, you’ll fail to identify the best marketing methods for your business. To capture consumer reaction to your campaign and offers, Valpak reports on each component of your marketing campaign. 6. Do Evaluate Your Mail Advertising. While some Valpak clients will receive calls immediately after the mailing hits, most clients see response build with subsequent mailings. Through marketing analytics, you can evaluate your campaign and adjust the offer or frequency to reach your ROI goal. The foundation of your direct mail advertising campaigns delivered directly to consumers of your choosing in the Valpak envelope. Our expertise in graphic design and messaging can help you get more customers. Valpak’s lean design principle has a lot in common with billboards. Using one image and one offer, lean design keeps consumers focused on your brand and message during the short time you have their attention. Larger print formats to advertise unique business features including offers, menus, locations and other business info. 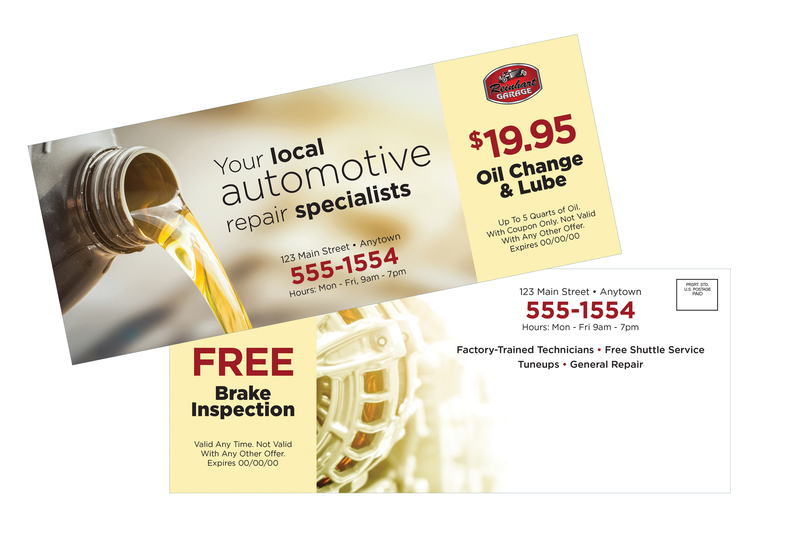 A colorful, thicker insert featuring your brand and your offers will instantly capture attention. 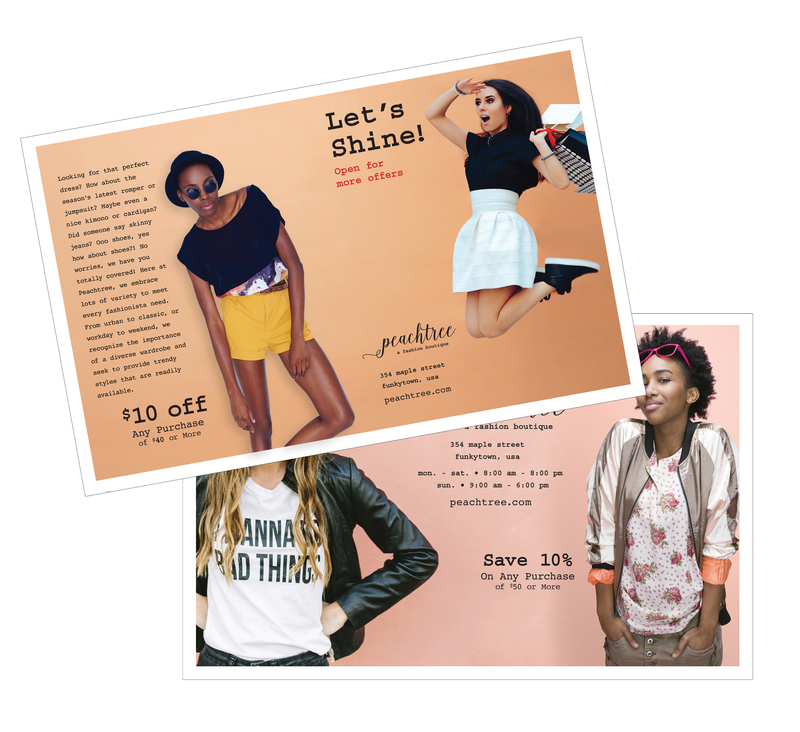 Consider using larger formats in between your standard coupon mailings to increase consumer anticipation and engagement. Cardstock printing that makes your advertising look and feel different than other print formats with increased tracking and security. Give your direct mail campaign a sturdy start and a strong finish with unique imprinting, choice of finish, various size formats and other customizations. Available in uncoated finishes and various paper thickness, cardstock and Business Reply Mail drive consumer action. Unique direct mailing that provides one-to-one marketing with promotions targeted to specific consumers in a variety of formats. This turnkey direct mail program lets you mail to customers beyond The Blue Envelope’s reach. Solo direct mail works great in conjunction with your regular direct mail campaign to expand your reach and frequency. Valpak clients chose us for one reason: Because it works. Our targeted marketing solutions consistently reach more consumers, create more customers and increase ROI. Speaker One: We chose Valpak because we can tailor the coupons and the offers to local areas and we can pinpoint the areas as to where we want to send the mailings and what offers we want to make. Speaker Two: Roughly 10% of our sales are started by a Valpak coupon on any one day. Speaker Three: So Valpak gives you the ability to target certain markets and certain areas and we reach 60-80,000 people a month. Speaker Four: The ease of use with Valpak is that I can just say I’m thinking of this sort of ad and within a couple of days I’ve got a ready proofed ad on my laptop or my computer or on my phone even. Speaker Five: Valpak offers me a complete media solution. I’m able to advertise to who I want to when I want to and where I want to. Speaker Six: Whenever Valpak coupons hit, I see a 25-30% increase in business. Speaker Seven: Valpak, I think, is a recognized name. It’s branded savings. So people, when they see it, they don’t toss it aside, they open it and they give it consideration. Speaker Eight: It’s gotten one of our best responses of any in-house mail piece that we’ve used. 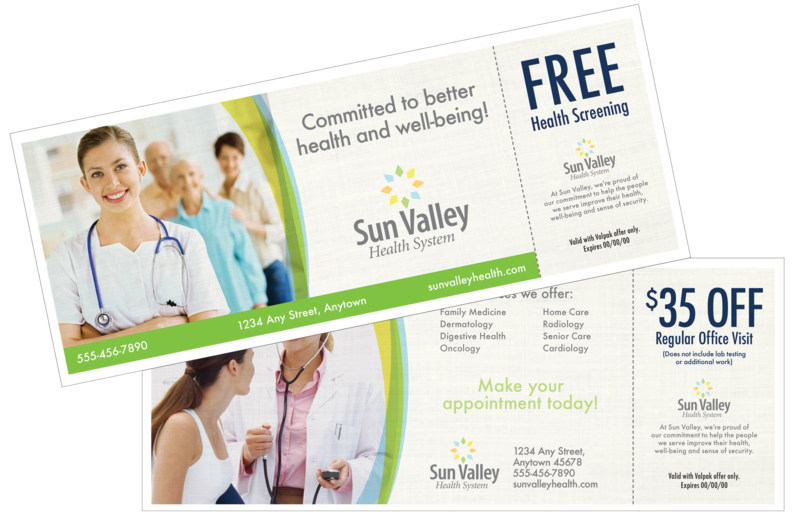 When you choose Valpak to produce your business flyers and circulars, you can be sure they’ll be eye-catching, accurate and affordable. Valpak offers several size formats to meet your unique business needs and get you in front of consumers in our well-recognized Blue Envelope. Which one is right for your business? Valpak’s local sales flyers are coupons that boost your brand visibility inside our Blue Envelope. Combine your business flyer with the power of targeted direct mail and strong response rates and you’ll have yourself a winner. Valpak’s larger print formats give you all the space you need to promote your best products and services. Available in 2, 3 or 6 panels, business advertising flyers boost visibility inside our Blue Envelope. Valpak’s multipage custom flyers (8, 12 or 16 pages), aka circulars, are hard to ignore. Plus, your marketing flyer gets mailed in The Blue Envelope to a targeted, local audience, so you can be sure it lands in the right hands.